Pioneers in the industry, we offer cylindrical range, retro reflective dia m18, retro reflective dia m30, retro reflective rectangular, rectangular retroreflective sensors and cylindrical meter range from India. With whole new concepts, our company is dedicated towards offering Cylindrical Range. The offered product is developed utilizing top-notch quality raw material and advanced machinery under the supervision of our experts. Our product is inspected on several parameters in order to deliver defect free range. Additionally, this product is accessible in various specifications as per precise requirement of clients at reasonable prices. Our organization has gained recognition for providing premium quality Retro Reflective Dia M18 that consists of transmitter and receiver in same housing and beam is reflected via reflector from transmitter to receiver. The offered sensor is specially designed for applications where space is at a premium. In addition, our sensor is tested on diverse parameters in order to ensure its flawlessness. 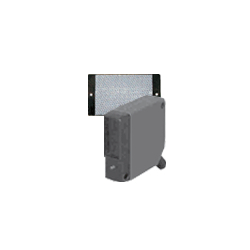 Our customers can avail this sensor from us in different specifications. DETAILS Electronic Switches (I) P. Ltd; offers retroreflective Scan Sensor in 18 mm dia; ABS plastic / Brass housing with 300mm. Reflector is used to direct the beam from Transmitter to Receiver, both of which are housed together. This type is specially designed for applications where space is at a premium. 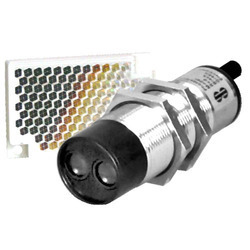 Keeping in the mind various requirements of our clients, we are offering premium quality Retro Reflective Dia M30 that provide a longer sensing range when compared to diffused sensors. Our provided sensor is developed by highly skilled professionals using finest grade raw material & latest technology keeping in sync with the norms of industry. Offered sensor is stringently tested on various parameters in order to deliver defect free range. DETAILS Electronic Switches (I) P. Ltd; offers retroreflective Scan Sensor in 30 mm dia; Brass housing with 8 mtr range. Reflector is used to direct the beam from Transmitter to Receiver, both of which are housed together. With the assistance of our team of professionals, we are engaged in providing an excellent quality Retro Reflective Rectangular. 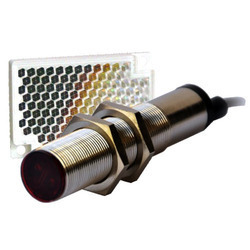 This sensor is particularly suitable in application involving excessive heat and electronic, magnetic or other interference fields. 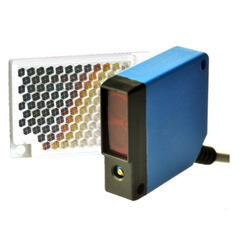 Offered sensor is accessible in numerous specifications so as to meet the demands of customers. Besides, this sensor is stringently tested on various quality parameters to ensure its defect free range. Since our establishment, we have become the well-known organizations of a high quality range of Rectangular Retroreflective Sensors that are specially designed for applications where space is at a premium. 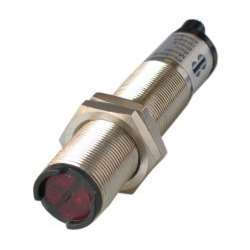 This sensor is used to direct the beam from transmitter to receiver, both of which are housed together. 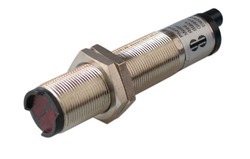 Offered sensor is accessible in numerous specifications so as to meet the demands of customers. Besides, this sensor is stringently tested on various quality parameters to ensure its defect free range. With sincerity and hard work of our experts, we have carved a niche for ourselves in this domain by providing Cylindrical Meter Range. This product is developed in sync with the standards of industry by our highly qualified professionals using optimum quality raw material. The offered product is offered in various specifications as per the specific needs of the clients. Our valuable customers can avail this product in bulk quantity at competitive rates from us.